“Dr Saunders, happy with the trials wrote “the results confirm the results obtained by Wellcome with guinea pigs”. A few years ago, I drew attention to GSK’s vaccine trials on Irish orphans in the 60’s and 70’s and I thought that the story had disappeared. 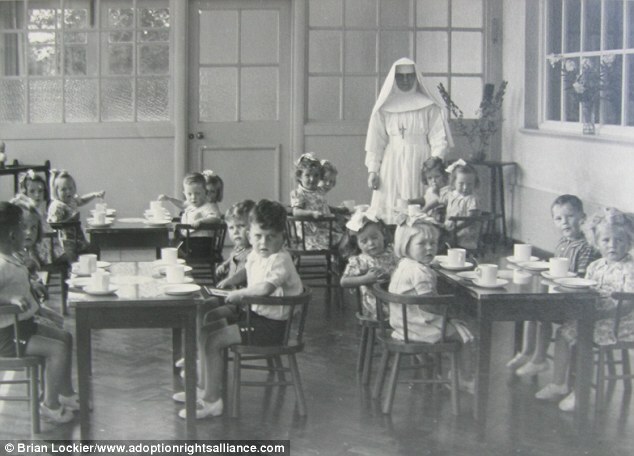 However with the current spate of scandals in Ireland regarding buried orphaned babies and mass graves (under the care of corrupt nuns) hitting the headlines- it seems that it has been revived. Above is tomorrow’s headline from the Irish Daily Mail. The next story is a link to the current scandal, and underneath are previous links from similar news headlines in previous years, and also the original article I wrote on this blog. I am sure more will come out about this travesty in the coming days, weeks and months ahead. Tuam Co Galway this afternoon. 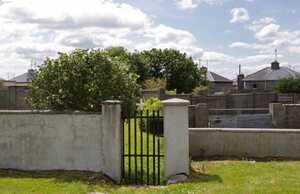 “The grounds where the unmarked mass grave apparently containing the remains of nearly 800 infants who died at the Bon Secours mother-and-baby home in Tuam Co Galway from 1925-1961 rests. In 2000, a report — entitled the “Report On Three Clinical Trials Involving Babies And Children In Institutional Settings, 1960/61, 1970 and 1973″ — was finally drawn up. A woman subjected to a controversial vaccine trial as a baby without her mother’s consent broke her silence last night to reveal her traumatic decades-long fight for justice. Mari Steed (50) was effectively used as a guinea pig during the ‘four-in-one’ vaccine trials carried out on her between December 1960 and October 1961 when she was between nine and 18 months old. “They didn’t ask me for my permission to give her that shot,” she said. She and the three others are planning to file a class action against the GlaxoSmithKline drug company in the US courts. GlaxoSmithKline was called ‘The Wellcome Foundation’ when the trials were conducted. They are also hoping to separately take a case against the Sacred Heart Order — either individually or as a group — in the Irish courts. “The trials involved incredibly poor judgment on the part of all involved. 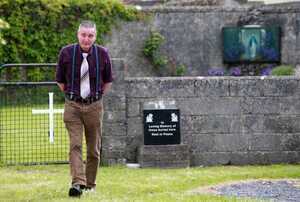 We were basically used as human guinea pigs,” Ms Steed told the Irish Independent. At least 211 children were given the test vaccines during three separate drug trials, says a report commissioned by then-Health Minister Brian Cowen and drawn up by the Republic’s Department of Health in 2000. Ms Steed was involved in the first trial, which took place between December 1960 and November 1961 on 58 children in five children’s homes. 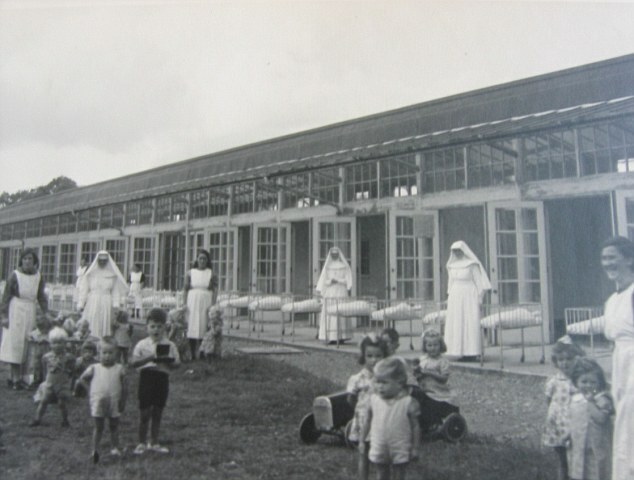 These included St Patrick’s Mother and Baby Home, Dublin; the Bessborough Mother and Baby home in Cork; and St Peter’s Mother and Baby Home, Castlepollard, Co Westmeath. 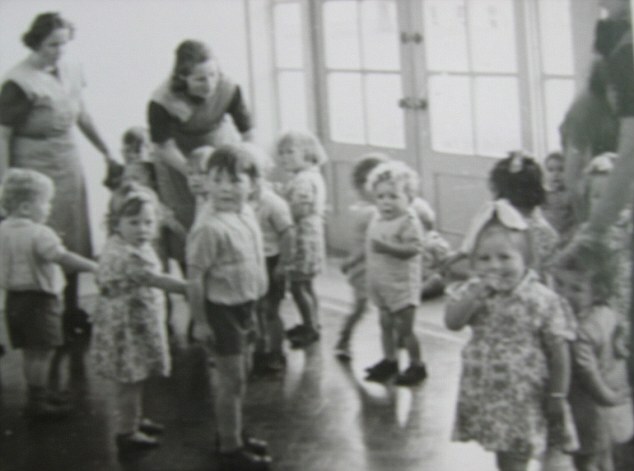 Children from St Clare’s Baby Home in Stamullen, Co Meath, and the Good Shepherd Mother and Baby Home in Dunboyne, Co Meath, also participated.The trial examined what would happen if four vaccines for diphtheria (a life-threatening disorder caused by a highly contagious bacterial infection), pertussis (whooping cough), tetanus and polio were combined in one overall jab, known as the four-in-one shot. Ms Steed’s mother, Josephine, who was forced to give her daughter up for adoption to a US couple just months after the trials took place, insisted she never gave her consent for Mari to be used in the trial. However, Ms Harney last night insisted there would be no further inquiries into the allegations already made. The minister also declined to say if she would apologise to the victims, or if the Government would provide life-screening or counselling.Susan Lohan of the Adoption Rights Alliance said Ms Steed and other victims had been treated like “second-class” citizens. Mari Steed doesn’t get angry very easily. Her presence has a very calming influence, but when you bring her back 50 years to a harrowing time in a mother-daughter home in Co. Cork she tenses up. Steed, 50, spoke to the Irish Voice from her home in Levittown, Pennsylvania about intrusive, illegal medical trials that were conducted on her young body as a baby. Steed says she was used as a human guinea pig for a large medical firm to test and improve vaccines for tetanus, diphtheria and whooping cough. Steed presented her medical files to the Irish Voice as proof. They reveal she received her first injection on December 9, 1960 and another on January 6, 1961. Despite being ill after the third injection on January 7, 1961, she was given her fourth and final shot on February 10, 1961, and a booster shot of polio on October 3, 1961. 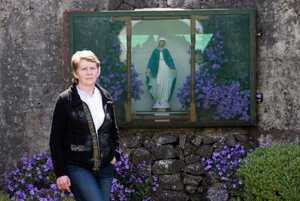 Steed was born Mary Fitzgerald to a young Co. Wexford woman by the name of Josephine Fitzgerald in 1960. Because Josephine became pregnant with her daughter out of wedlock she was sent to a mother-daughter orphanage style home to have the baby. Josephine, now in her sixties and also born out of wedlock, was familiar with such homes. She grew up in them and quickly realized she didn’t want her daughter to have the same sort of upbringing. Instead she nursed, played with and loved young Mary until she was 18-months-old. Josephine then painstakingly handed over her daughter to an Irish American couple in Pennsylvania who promised to take good care of her. Steed, now director of technology and new media at the World Affairs Council of Philadelphia, has no memories of her time in Bessborough Mother and Baby Home in Cork, but she does have the doll her mother made for her and other memorabilia she brought with her on the plane journey from Ireland. Forty years later, during a search for her birth mother, Steed horrifyingly discovered she was used as a guinea pig on a drug trial. A young Steed was one of 211 children in the care of the Catholic Church that the Wellcome Foundation (now GlaxoSmithKline) frequented to test a four-in-one drug in the sixties and seventies in Ireland.In Steed’s case it was between December 1960 and October 1961, when she was between nine and 18-months-old. The Commission to Inquire into Child Abuse, also known as the Laffoy Commission in Ireland, investigated the drug testing in 2001, but a court order by two doctors involved in the trials put a halt to the probe by 2003. Steed and her birth mother Josephine both presented evidence to the Laffoy Commission before it was disbanded. However, Steed is hopeful that the case will be reopened in Ireland as calls for the government to deal with the scandal intensifies. “We were very upset that the investigation was called to a halt. So many mothers and children came forward but nothing more could be done,” said Steed bitterly. Although putting it on the back burner, Steed said the injustice she suffered as a baby was always in the back of her mind. 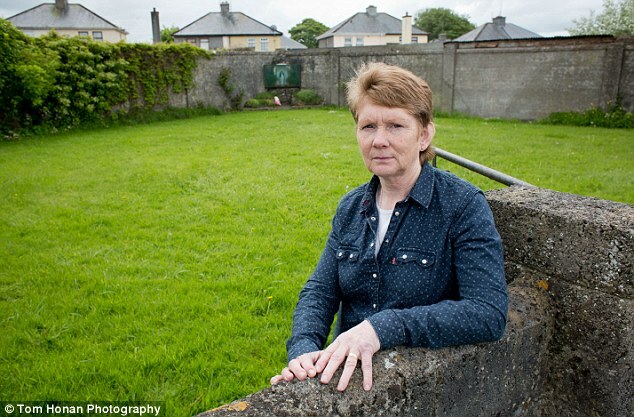 She recently teamed up with three other victims living in the U.S. who were also adopted from Ireland to take legal action against GlaxoSmithKline and the Sacred Heart Order, which allowed the tests at the Bessborough Mother and Baby Home and other homes throughout Ireland. “I feel it’s the right thing to do,” she said. Steed, a mother of three, isn’t interested in financial gain. She seeks the truth behind her ordeal. Why, she wonders, were such experiments allowed to be carried out, and who gave the permission? “A formal apology for one would be nice, and everyone used during these trials should be given some sort of medical follow-up to make sure there are no side effects,” said Steed, admitting that as far as she knows her health is good.Her birth mother Josephine told the Laffoy Commission her permission was never sought or given, from either the multinational drug company responsible for the vaccine trials or the Sacred Heart order. “My mother never gave permission to anyone to test these drugs on me, so why did they do it?” she asks emotionally. Steed’s own story is remarkable. Seemingly following in her mother’s footsteps Steed, after falling pregnant as a teenager, gave up her eldest daughter, Kerry, for adoption at the request of her adoptive mother. Steed too was sent to a mother and baby home in Philadelphia and cut off from her family at the time. “It was when Kerry was born in 1978 that I began getting curious about my own mother. 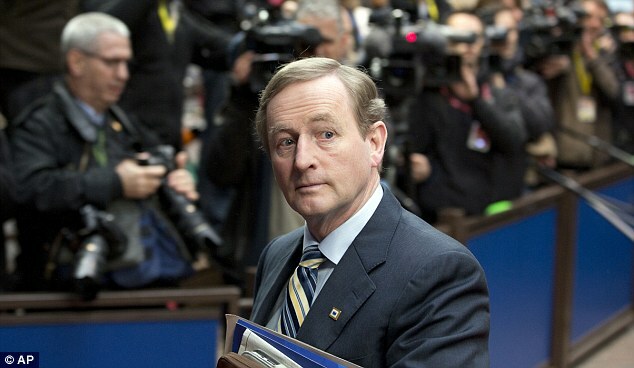 After all, I was walking in her same shoes,” said Steed, who is now back in Kerry’s life. Her curiosity sparked a journey that turned out to be a blessing. While working at a college in Florida, Steed was introduced to the powers of the Internet and its search engines. “The very first word I typed into the search engine was adoption. From there I found a few U.S.-based support groups, but no one had any idea how I would go about finding out information from Ireland,” Steed said. Determined to stay focused, Steed proceeded with her quest and was finally introduced to a heritage researcher in Dublin who pointed her in the right direction. “This guy was amazing. He was able to fax me my actual birth certificate within 24 hours,” said Steed, adding how emotional it was to see it. From there Steed become involved with the Adopted People’s Association in Dublin (now Adoption Ireland), which lead her on a journey of self-discovery. Finally through an Irish contact living in England, Steed was able to locate her mother through her marriage certificate to Swindon in England. Within a matter of days Steed was reunited, via telephone, with her birth mother after 41 years. Steed recalls the phone conversation so well. “It was right after 9/11 and I was due to go up to New York that morning when the phone rang. It was Judy, my friend in England, who called to say she had found my mother,” recalls Steed. “I was a wreck. I didn’t know what to think or do. Finally I called my mother and it was the oddest thing,” she said with a broad smile on her face. “The minute I heard her voice the nerves melted away. It was like we just spoke last week and we hadn’t in 41 years. A year later Steed went to visit her mother in England, and since then they have maintained a great relationship. “I couldn’t believe how alike we were both in personality and physically. It really was unbelievable,” she said. “We talk at least once a week now,” she said. Josephine has promised to help Steed right the wrong that was done to her as a child in Cork. 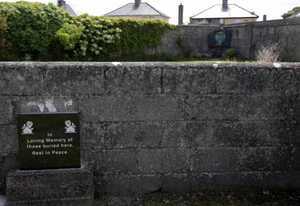 HUNDREDS of dead babies from mother-and-baby homes across the country were dissected in Irish universities — without the knowledge or permission of their mothers. An RTÉ Prime Time investigation into the vaccine trials carried out in the homes, where unmarried women were sent to have their children, revealed that more than 400 babies were dissected by medical students around the country. The practice continued into the 1960s. The Adoption Rights Alliance last night called for a state inquiry into how these dissections were sanctioned and into the vaccine trials that were regularly held on infants born in these homes. “There are many more questions that need to be answered about this time and we are once again asking the Government to open up all adoption records to adopted people,” said spokeswoman Claire McGettrick. 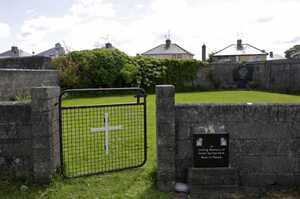 Up to 400 dead babies from St Patrick’s Mother and Baby Home on the Navan Road and the nearby St Kevin’s Hospital were sent for dissection. 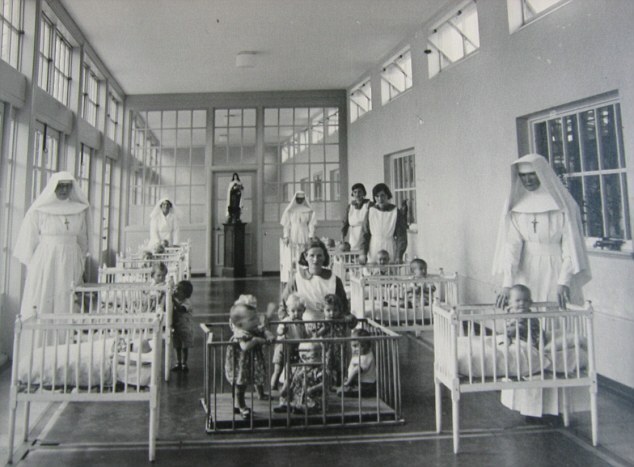 In 1942 alone, 57 babies were sent to UCD, 34 to the Royal College of Surgeons and 27 to Trinity College Dublin. Between 1940 and 1965, 35 were sent to UCG. Mari Steed was born at Bessborough Mother and Baby Home in Cork, but sent to the US to be adopted as a toddler. She has campaigned endlessly for adopted people to be given information on the vaccine trials they were subjected to. “These latest revelations serve to further hit home how little we were though of. We were little more than a number. We weren’t worthy of a name or a decent burial plot,” she said. It has previously been revealed how hundreds of children born into these homes were subjected to vaccine trials by established international medical companies. The trials in Ireland were headed up by some of the country’s most eminent medical professionals. The victims have spent years trying to access data on these trials but the religious orders will not release the files. The Anatomical Committee of Irish Medical Schools issued a statement last night saying that “today such practices would be unacceptable”. A joint statement from the Departments of Health and Children said they “deeply regretted” these “outdated practices”. 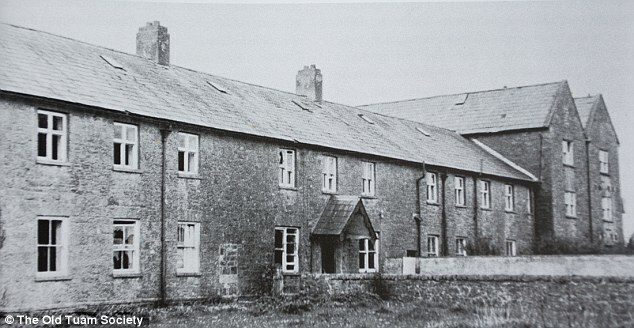 Earlier this month, the Irish Examiner revealed how adoption files held by the Sacred Heart Convent at Bessborough have yet to be transferred to the HSE — two months after the initial deadline for the transfer. The files include those involving controversial vaccine trials carried out on children at the then mother-and-baby home. Are Ben Goldacre and AllTrials Being Manipulated By GSK? And are they perhaps being too trusting? Reposted from 1boringoldman’s blog (who is far from boring by the way- and possibly one of the best writers around on these issues ). The pharmaceutical industry has “mobilised” an army of patient groups to lobby against plans to force companies to publish secret documents on drugs trials. Drugs companies publish only a fraction of their results and keep much of the information to themselves, but regulators want to ban the practice. If companies published all of their clinical trials data, independent scientists could reanalyse their results and check companies’ claims about the safety and efficacy of drugs. Under proposals being thrashed out in Europe, drugs companies would be compelled to release all of their data, including results that show drugs do not work or cause dangerous side-effects. While some companies have agreed to share data more freely, the industry has broadly resisted the moves. The latest strategy shows how patient groups – many of which receive some or all of their funding from drugs companies – have been brought into the battle. The strategy was drawn up by two large trade groups, the Pharmaceutical Research and Manufacturers of America (PhRMA) and the European Federation of Pharmaceutical Industries and Associations (EFPIA), and outlined in a memo to senior industry figures this month, according to an email seen by the Guardian. The ongoing battle for clinical trial transparency took an unexpected turn this past Sunday, 21st July, when the Guardian ran a story featuring details of a leaked memo, apparently containing a plan to conceal “secret documents on drugs trials” from the public and concerned medical practitioners. I’ll not paraphrase it. It’s there for the reading and not that long. In essence, the memo’s author explains that the intent of the memo was not to mount a fight, but simply to find the best way to cooperate while protecting the clinical trial subject’s privacy and PHARMA’s legitimate interests. There’s a bit of confusing parsing of word meanings. It even has a response from the Guardian’s article author, Ian Sample. Their two accounts of the interaction between the author and Richard Bergström prior to the article’s publication were widely divergent. And who iseye·for·pharma anyway [the link takes you to their about·us page]? eye·for·pharma is a hub for senior-level pharma executives, patient advocacy groups and other health experts to exchange ideas and stay up to date with shifting trends and practices within the pharmaceutical industry. It’s The Guardian [home to Ben Goldacre’s long-runningBad Science column] versus eye·for·pharma [“a hub for senior-level pharma executives, patient advocacy groups…”] each accusing the other of misbehavior. If this were an episode on Masterpiece Mystery, it would be titled “Who’s Black? The Pot or The Kettle?” [speaking of conflict of interests]. In case you haven’t noticed, both The Guardian and eye·for·pharma talk about the Memo they’ve seen without showing it to us! Which is the whole point of this post and Data Transparency in the first place. Mobilising patient groups to express concern about the risk to public health by non-scientific re-use of data. Engaging with scientific associations to shape the industry commitment for data sharing, and to discuss concerns about re-use of data. Work with other business sectors that are also concerned about release of trade secrets and commercially confidential data. For the long-term, build a network of academics across Europe that has the capacity to counteract mis-use of data (that is deemed to be happen in any case). There will be a series of meetings in Brussels, organised jointly by PhRMA and EFPIA, in the week of August 26 to advance these strands. This work (commitment and advocacy) is coordinated by [Redacted], in close cooperation with PhRMA ([Redacted] and [Redacted]), with oversight by Richard Bergstroem and [Redacted], PhRMA. No process outlined to discuss CCI in CSRs prior to release. Raw data: unenforceable controls to ensure robust and scientifically credible secondary analyses. Requirement for anonymised raw data to be supplied at submission negates EMA’s responsibility for release of PP information. Publication of CSRs from withdrawn or unsuccessful submissions could undermine future commercial viability of product. The EMA document takes into consideration the outcome of the process run by the 5 CT advisory groups earlier in the year to which EFPIA contributed through the input prepared by the 5 Temporary Working groups (TWG) set up under the SRM PC auspices. A detailed response will be prepared by a joint EFPIA-PhRMA team. The work will be led by [Redacted], Lilly, [Redacted]. From the EFPIA side the EFPIA TWG chairs (Rules of engagement, Patient confidentiality, good analysis practice, CT data format, legal aspects) will be part of the drafting group: [Names of four individuals within the drafting group redacted] PhRMA will assign a small group of people from the bigger EMA data disclosure WG. The drafting group will tentatively have a TC July 9. The final draft will be shared for consultation with the broader membership later this month. [Name], Pfizer, leads this work, in close cooperation with PhRMA and external legal counsel. seek to delete preamble text that CSRs do not “in general” include CCI (even if current text is acceptable as fall-back position). The EFPIA PACT(Public Affairs on Clinical Trials) is responsible and will work closely with national associations and Brussels staff. I have rarely been afforded the luxury of writing such a satisfying post. Whether you agree with The Guardian or eye·for·pharma, or even land in some completely different place, the point remains the same. With the Memo there in front of you, you’re able to reach your own conclusions – deal with your own biases and conflicts of interest unimpeded. Your opinion is worth a whole lot more than it was before you read it. Very satisfying. Let’s hear it for enactments. Excellent exposure! As expected by this biased mom, as foretold by George Orwell. “Advocacy” they call it, lobbying the European Council and scores of big-business-friendly politicians, media, bureaucrats, big-pharma-sponsored consumer groups NAMI with sister EUFAMI.. I ran across this joint statement on “responsible” data-sharing practices from PhRMA and its European cousin EFPIA. It is a real piece of poop, of course … we will share data only with “responsible” parties in a “responsible” format. In other words, we are committed to telling you everything we think you need to know. Trust us. So I hope they ask GSK: Are you standing behind this Orwellian piece of poop issued by your trade associations? If not, please stand up and say so. And if so, what the heck does it mean that you also “endorse” AllTrials? Is COI limited to pharma only? GSK are claiming the moral high ground of concern for patient welfare. Have they in the process managed to co-opt groups from the House of Commons to AllTrials who might otherwise hold them to account? Study 329 is GSK’s most famous clinical trial. In this a large number of children became suicidal on paroxetine. Antidepressants like paroxetine – thanks to Study 329 but not thanks to GSK – now come with a Black Box Warning that they may cause suicide. Study 329 was worth roughly $1 Billion to GSK. It enabled the company to get six months patent extension on Paxil-Seroxat. The children who became suicidal on Paxil in Study 329 are more likely than others to become suicidal again if exposed to another SSRI. What should a company genuinely concerned about the welfare of patients who have done so much for the welfare of the company (participating in this trial without payment) do at this point? Should GSK’s concern about patient welfare extend to informing the subjects in Study 329 of the link between their treatment and their problems and future risks they may run? Andrew – have you contemplated the possibility that if you don’t inform those affected you are in fact still to this day making suicide more likely for some of those affected? Has GSK – or any pharmaceutical company – ever gone back to any of the subjects enrolled in any of its trials to explain to them what might have happened to them and the role their drug might have played in what happened? Please send known examples. Would explaining to people how their injury arose not be a more telling indicator of concern for patients than an effort to keep identifiers out of the public domain? What would the patients who have participated in clinical trials think was the more important indicator of genuine company concern? What do Flaminia Macchia and Eurordis think would be the most appropriate indicator of genuine company concern? Following a legal action taken by New York State in 2004, GSK agreed to post Clinical Study Reports (CSRs) for their pediatric Paxil trials and other trials on the company website along with further details of their Avandia and other trials on the company website. Any good investigative journalist could likely identify each of the children who became suicidal on paroxetine from the CSRs available on GSK’s website. Pretty well the only additional details that the patient level data that the company refuses to release contains are the patients’ initials. These could easily be redacted. This raises the question as to why GSK are so resistant to making the original case report forms (CRFs) available? The only obvious other details that the CRFs contain not found in the CSRs are adverse effects. Its clear from looking at the CSRs, there are a very large number of mismatches (several hundred) between what the CSRs show and the CRFs are likely to contain. There is a team attempting to rewrite Study 329 according to the RIAT process. See Reading the Riat Act . The difficulties they are having in getting data out of GSK have been covered by Ed Silverman of Pharmalot. 1boringoldman has also covered this ground and the apparent growing links between GSK and AllTrials, and how GSK are using their model of transparency to block access to the data. Because there is a mismatch between the CSRs and CRFs, the Study 329 RIATers are at a point where they require the raw data – the CRFs. GSK refuses to hand over the CRFs. What would the now 35-year-old or so children who participated in Study 329 think should happen at this point? If you are a small player in the scheme of things, you may know just how the world should work but will never get a chance to implement any of your ideas. If you go into coalition with a bigger power you may get to implement policies you have always supported but have no chance to see brought into being. Or perhaps you can temper policies your partners might want to put in place that you disagree with. What do AllTrials think should happen at this point?